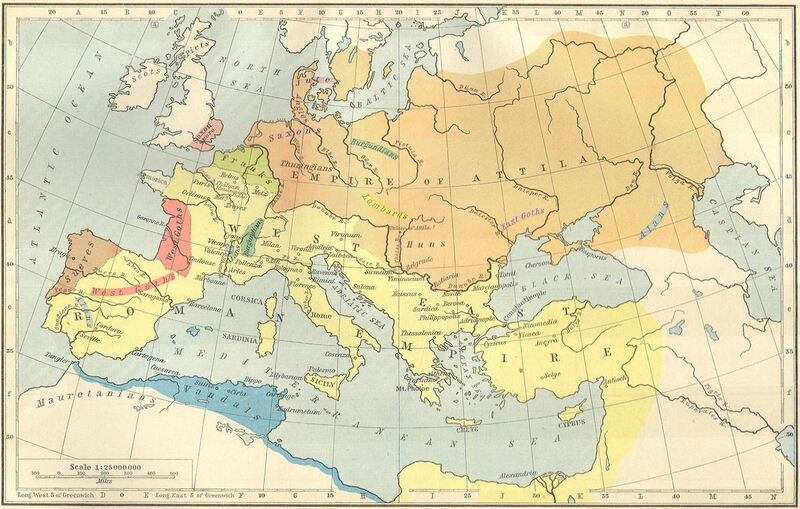 Carlos Quiles – indo-european.eu/maps/ ​Roman Pannonia 9BC-V century AD – 400 years of Roman stability. 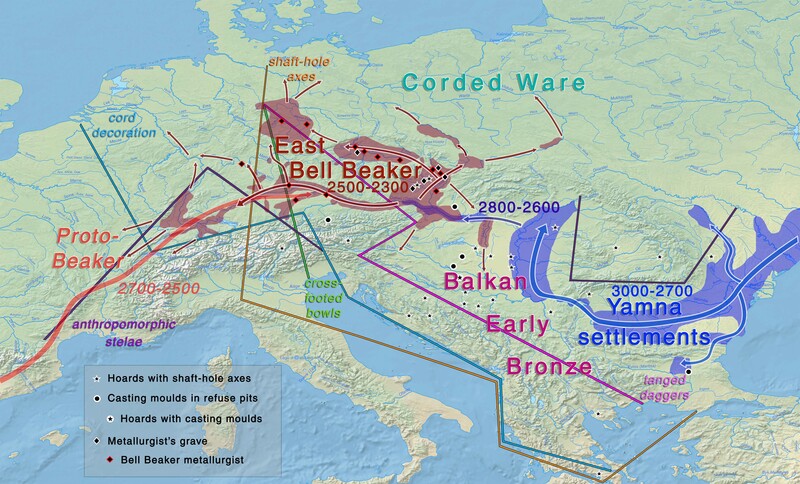 The Iazyges 0-400AD take control (from Dacians) of Panon basin East of Danube. The Hun coalition 400-453AD has the center in Pannonia, the Gepid king sits at the right of Attila. After the death of Attila the Gepids are the first to brake free. The Gepid Kingdon 454-522AD about same area as Iazyg territories before the Huns. Avar Khaganate 567-665AD Slav/Bulgars in 679 occupy the Eastern part of the Avar Kindgom. The Franks between 791-892AD conquer the Western remains of the Avar Kingdom. The Hungarian conquest of the Carpathian Basin. Prelude (892–c. 895), First phase (c. 895–899), Second phase (900–902), Consolidation (902–907). 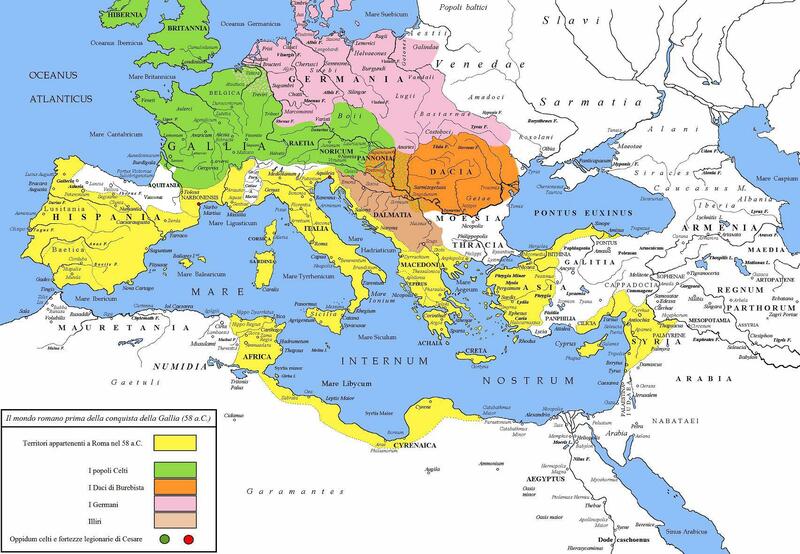 The Roman Empire conquered the territory west of the Danube between 35 and 9 BC. 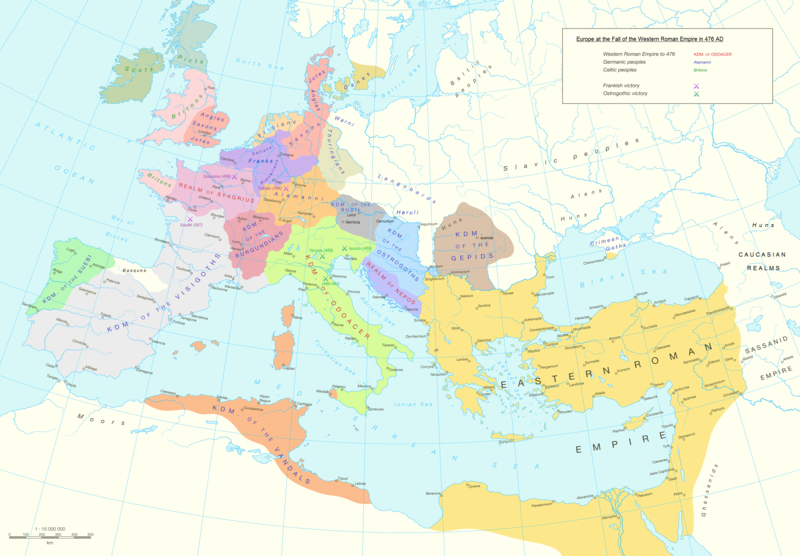 From 9 BC to the end of the 4th century, Pannonia was part of the Roman Empire. After Hunnish rule, the Germanic Ostrogoths, Lombards, and Gepids, and the Avar Khaganate, had a presence in the Carpathian Basin. During the Migrations Period parts of Pannonia was ceded to the Huns in 433 by Flavius Aetius. After the collapse of the Hunnic empire in 454, large numbers of Ostrogoths were settled by Marcian in the province as foederati. The Eastern Roman Empire controlled it for a time in the 6th century, and a Byzantine province of Pannonia with its capital at Sirmium was temporarily restored, but it included only a small southeastern part of historical Pannonia. Afterwards, it was again invaded by the Avars in the 560s, the Slavs, who first settled c. 480s but became independent only from the 7th century, and the Franks, who named a frontier march the March of Pannonia in the late 8th century. The term Pannonia was also used for a Slavic duchy that was vassal to the Franks. Between the 5th and the 10th centuries, the romanized population of Pannonia developed the Romance Pannonian language, mainly around Lake Balaton in present-day western Hungary, where there was the keszthely culture. This language and the related culture became extinct with the arrival of the Magyars. The Iazyges were an ancient Sarmatian tribe that traveled westward in c. 200 BC from Central Asia to the steppes of what is now Ukraine. In c. 44 BC, they moved into the area between the Danube and Tisza rivers, near the Dacian steppe, where they adopted a semi-sedentary lifestyle. In the two Dacian Wars the Iazyges fought against the Dacians, helping Rome to subjugate the Dacians. Is the Marcomannic War that occurred between 169 and 175, the Iazyges fought against Rome but were defeated by Marcus Aurelius, but Rome never conquered Panonia. The area of plains between the Danube and Tisza rivers that was controlled by the Iazyges was similar in size to Italy and about 1,600 km long. The terrain was largely swampland dotted with a few small hills that was devoid of any mineable metals or minerals. This lack of resources and the problems the Romans would face trying to occupy it may explain why the Romans never annexed it as a province but left it as a client-kingdom.Records of eight Iazygian towns have been documented; these are Uscenum, Bormanum, Abinta, Trissum, Parca, Candanum, Pessium and Partiscum. There was also a settlement on Gellért Hill. Their capital was at Partiscum, the site of which roughly corresponds with that of Kecskemét, a city in modern-day Hungary. It is believed that a Roman road may have traversed the Iazyges’ territory for about 200 miles (320 km), connecting Aquincum to Porolissum, and passing near the site of modern-day Albertirsa. This road then went on to connect with the Black Sea city states. Their language was a dialect of Old Iranian, which was very different from most of the other Sarmatian dialects of Old Iranian. When an Iazyx became too old to fight in battle, they were killed by their sons or, according to Roman geographer Pomponius Mela, threw themselves from a rock. The graves made by the Iazyges were often rectangular or circular, although some were ovoid, hexagonal, or even octagonal. They were flat and were grouped like burials in modern cemeteries. Most of the graves’ access openings face south, southeast, or southwest. Their brooches and arm-rings were of the La Tène type, showing the Dacians had a distinct influence on the Iazyges. After their migration to the Tisza plain, the Iazyges were in serious poverty. Later tombs showed an increase in material wealth; tombs of the 2nd to early 4th century had weapons in them 86% of the time and armor in them 5% of the time. Iazygian tombs along the Roman border show a strong Roman influence. The Iazyges were cattle breeders; they required salt to preserve their meat but there were no salt mines within their territory. According to Cassius Dio, the Iazyges received grain from the Romans. The Iazyges wore heavy armor, such as Sugarloaf helms and scale armor made of iron, bronze, horn, or horse hoof, which was sown onto a leather gown so the scales would partially overlap. They used long, two-handed lances called Contus; they wielded these from horses, which they barded. [b] Their military was exclusively cavalry. They are believed to have used saddle blankets on their horses. Although it was originally Gaulic, it is believed the Iazyges used the Carnyx, a trumpet-like wind instrument. In the 3rd century BC the Iazyges lived in modern-day south-eastern Ukraine along the northern shores of the Sea of Azov, sometime before 179 BC, the Iazyges began to migrate westward to the steppe near the Lower Dniester. In 44 BC King Burebista of Dacia died and his kingdom began to collapse. After this, the Iazyges began to take possession of the Pannonian Basin. In 20 AD the Iazyges moved westward along the Carpathians into the Pannonian Steppe, and settled in the steppes between the Danube and the Tisza river, taking absolute control of the territory from the Dacians. In 89 AD, however, Domitian invaded the Iazyges along with the Quadi and Marcomanni. Few details of this war are known but it is recorded that the Romans were defeated. In May 92 AD, the Iazyges annihilated the Roman Legio XXI Rapax in battle. In 106 AD, Trajan again invaded Dacia, with 11 legions, and, again with the assistance of the Iazyges – who were the only barbarian tribe that aided the Romans in this war – [e] and the only barbarian tribe in the Danube region which did not ally with Dacia.The Iazyges were the only tribe to aid Rome in both Dacian Wars, pushed rapidly into Dacia. In 113 AD Trajan annexed Dacia as a new Roman province, the first Roman province to the east of the Danube. Trajan, however, did not incorporate the steppe between the Tisza river and the Transylvanian mountains into the province of Dacia but left it for the Iazyges. During and after the Marcomannic Wars, the Iazyges had many wars with the Romans, in 358, the Iazyges were againat war with Rome. In 375, Emperor Valentinian had a stroke in Brigetio while meeting with envoys from the Iazyges. [k] After that historic accounts become much more diffuse and the Iazyges generally cease to be mentioned as a tribe. The Huns. The Huns’ arrival is associated with the migration westward of a Scythian people, the Alans. By 370 AD, the Huns had arrived on the Volga, and by 430 the Huns had established a vast, if short-lived, dominion in Europe, conquering the Goths and many other Germanic peoples living outside of Roman borders, and causing many others to flee into Roman territory. Since Joseph de Guignes in the 18th century, modern historians have associated the Huns who appeared on the borders of Europe in the 4th century AD with the Xiongnu who had invaded China from the territory of present-day Mongolia between the 3rd century BC and the 2nd century AD. Due to the devastating defeat by the Chinese Han dynasty, the northern branch of the Xiongnu had retreated north-westward; their descendants may have migrated through Eurasia and consequently they may have some degree of cultural and genetic continuity with the Huns. Scholars also discussed the relationship between the Xungnu, the Huns, and a number of people in central Asia were also known as or came to be identified with the name “Hun” or “Iranian Huns“, the Chionites, the Kidarites, and the Hephthalites (or White Huns) being the most prominent. Walter Pohl cautions that none of the great confederations of steppe warriors was ethnically homogenous. Archaeological finds have failed to prove that the Huns had any “Mongoloid” features at all, and some scholars have argued that the Huns were predominantly Caucasian. Kim notes that by the Battle of Chalons (451), “the vast majority” of Attila’s entourage and troops appears to have been European. The Romans became aware of the Huns when the latter’s invasion of the Pontic steppes forced thousands of Goths to move to the Lower Danube to seek refuge in the Roman Empire in 376. The Huns conquered the Alans, most of the Greuthungi or Western Goths, and then most of the Thervingi or Eastern Goths, with many fleeing into the Roman Empire. In 395 the Huns began their first large-scale attack on the Eastern Roman Empire. Huns attacked in Thrace, overran Armenia, and pillaged Cappadocia. They entered parts of Syria, threatened Antioch, and passed through through the province of Euphratesia. At the same time, the Huns invaded the Sasanian Empire. This invasion was initially successful, coming close to the capital of the empire at Ctesiphon; however, they were defeated badly during the Persian counterattack. In 440, Attila and Bleda attacked Castra Constantias, a Roman fortress and marketplace on the banks of the Danube, in 447, Attila invaded the Balkans and Thrace, in 451, Attila’s forces entered Gaul. After Attila’s death in 453, the Hunnic Empire faced an internal power struggle between its vassalized Germanic peoples and the Hunnic ruling body.The Gepids were an East Germanic tribe. They were closely related to, or a subdivision of, the Goths. In the 4th century, they were incorporated into the Hunnic Empire. Under their leader Ardaric, the Gepids united with other Germanic tribes and defeated the Huns at the Battle of Nedao in 454. The Gepids then founded a kingdom centered on Sirmium, known as Gepidia, which was defeated by the Lombards a century later. Remnants of the Gepids were conquered by the Avars later in the 6th century. As the Gepid warriors fought along with the Huns Attila the Hun prized Ardaric, King of the Gepids, and Valamir, King of the Ostrogoths, “above all the other chieftains”, who were subjected to the Huns, in the 440s, according to Jordanes. There is no doubt that, in 451, Ardaric already stood ‘at the Lord’s right hand‘. The Gepids’ participation in the Huns’ campaigns against the Roman Empire brought them much booty, contributing to the development of a rich Gepid aristocracy. According to Jordanes, the Gepid king, Ardaric, who “became enraged because so many nations were being treated like slaves of the basest condition”, was the first to take up arms against the Huns. The decisive battle was fought at the (unidentified) Nedao River in Pannonia in 454 or 455. In the battle, the united army of Gepids, Rugii, Sarmatians and Suebi routed the Huns and their allies, including the Ostrogoths.After the Battle of Nedao, the Hunnic Empire disintegrated and the Gepids became the dominant power in the eastern regions of the Carpathian Basin.According to Jordanes, the Gepids “by their own might won for themselves the territory of the Huns and ruled as victors over the extent of all Dacia, demanding of the Roman Empire nothing more than peace and an annual gift” after their victory. Emperor Marcian confirmed their status as the allies of the empire and granted them an annual subsidy of 100 pounds of gold. The late-5th-century treasures excavated at Apahida and Someșeni show that the Gepid rulers accumulated great wealth in the second half of the century.The Gepids reached the zenith of their power after 537, settling in the rich area around Singidunum (today’s Belgrade). For a short time, the city of Sirmium (present-day Sremska Mitrovica) was the center of the Gepid State and the king Cunimund minted golden coins in it. In 546 the Byzantine Empire allied themselves with the Lombards, and in 552 the Gepids suffered a disastrous defeat from Alboin, king of the Lombards, in the Battle of Asfeld, after which Alboin had a drinking cup made from the skull of Cunimund. List of Gepid kings: Fastida, fl. c. 250; Ardaric, fl. c. 454; Giesmus; Gunderit; Thraustila fl. 488; Thrasaric fl. 505; Mundus; Elemund ?-548; Thurisind 548-c. 560; Cunimund, c. 560-567. The Avars are probably best known for their invasions and destruction in the Avar–Byzantine wars from 568 to 626. According to some scholars the Pannonian Avars originated from a confederation formed in the Aral Sea region, by the Uar, also known as the Var or Warr (who were probably a Uralic people) and the Xūn or Xionites (also known as the Chionitae, Chunni, Hunni, Yun and similar names); the Xionites were maybe Iranian or Turkic-speaking or both. A third tribe affiliated previously to the Uar and Xionites, the Hephthalites, had remained in Central and South Asia. The Avar Khaganate was established in the Pannonian Basin region, in 567. By the time they arrived in the Balkans, the Avars formed a heterogeneous group of about 20,000 horsemen. 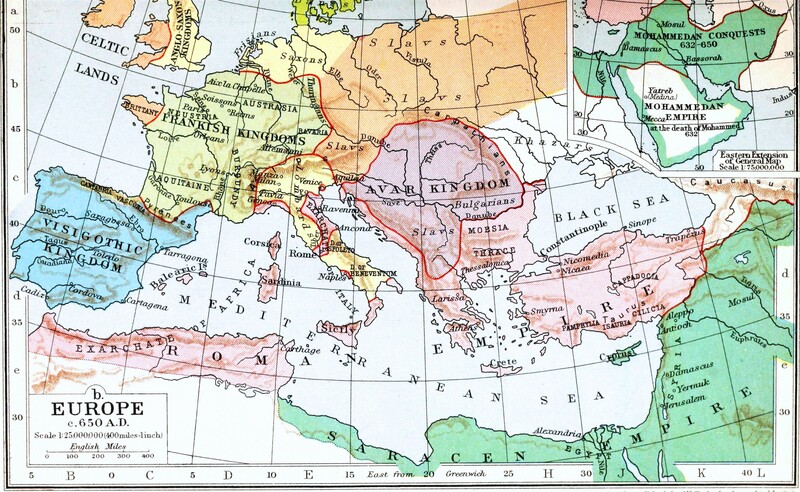 After the Byzantine Emperor Justinian I (reigned 527–565) bought them off, they pushed northwestwards into Germania. However, Frankish opposition halted the Avars’ expansion in that direction. Seeking rich pastoral lands, the Avars initially demanded land south of the Danube River in present-day Bulgaria, but the Byzantines refused, using their contacts with the Göktürks as a threat against Avar aggression. The Avars turned their attention to the Carpathian Plain and to the natural defenses it afforded. However, the Carpathian basin was then occupied by the Gepids. In 567 the Avars formed an alliance with the Lombards—enemies of the Gepids—and together they destroyed much of the Gepid Kingdom. The Avars then persuaded the Lombards to move into northern Italy, an invasion that marked the last Germanic mass-movement in the Migration Period. By about 580, the Avar Khagan Bayan I had established supremacy over most of the Slavic, Bulgar and Germanic tribes living in Pannonia and the Carpathian Basin. When the Byzantine Empire was unable to pay subsidies or hire Avar mercenaries, the Avars raided their Balkan territories. 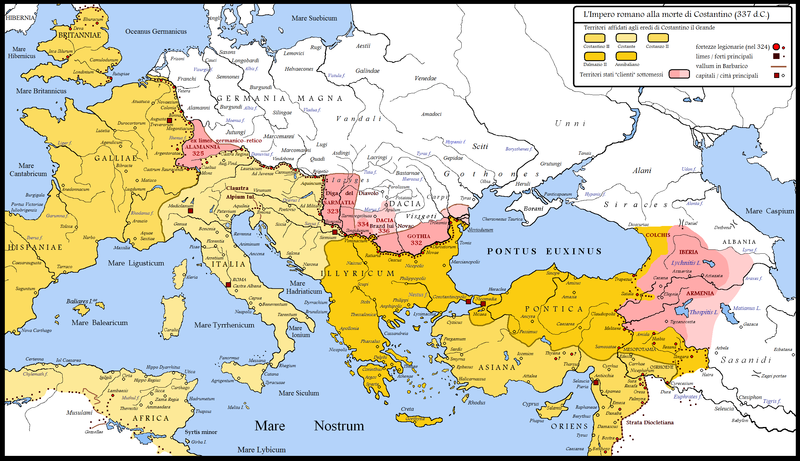 According to Menander, Bayan commanded an army of 10,000 Kutrigur Bulgars and sacked Dalmatia in 568, effectively cutting the Byzantine terrestrial link with North Italy and Western Europe. By 582, the Avars had captured Sirmium, an important fort in Pannonia. When the Byzantines refused to increase the stipend amount as requested by Bayan’s son and successor Bayan II (from 584), the Avars proceeded to capture Singidunum and Viminacium. They suffered setbacks, however, during Maurice’s Balkan campaigns in the 590s. Nevertheless, by 600 the Avars had established a nomadic empire ruling over a multitude of peoples and stretching from modern-day Austria in the west to the Pontic-Caspian steppe in the east. In 626, the siege of Constantinople by a joint Avar-Sassanid force failed. Following this defeat, the political and military power of the Avars declined. Byzantines and Frankish sources documented a war between the Avars and their western Slav clients, the Wends. Khan Kubrat died in 665, Following Khan Kubrat’s death or a few years later in the time of Bezmer, the empire was dissolved into 5 branches. Two of them (led by Batbayan and Kotrag) were subdued by the emerging Khazar Empire, while the fourth one led by Asparukh established the Danube Bulgar Empire and stabilized it by the victory at the battle of Ongal. The Onogur-Bulgars, led by Khan Asparukh—the father of Khan Tervel—settled permanently along the Danube (c. 679–681), expanding the First Bulgarian Empire from Onogur, Bulgaria. Although the Avar empire had diminished to half its original size, the new Avar-Slav alliance consolidated their rule west from the central parts of the mid-Danubian basin and extended their sphere of influence west to the Viennese Basin. The Khaganate in the Middle and Late periods was a product of cultural symbiosis between Slavic and original Avar elements with a Slavic language as a lingua franca or the most common language. In the 7th century, the Avar Khaganate opened a door for Slavic demographic and linguistic expansion to Adriatic and Aegean regions. 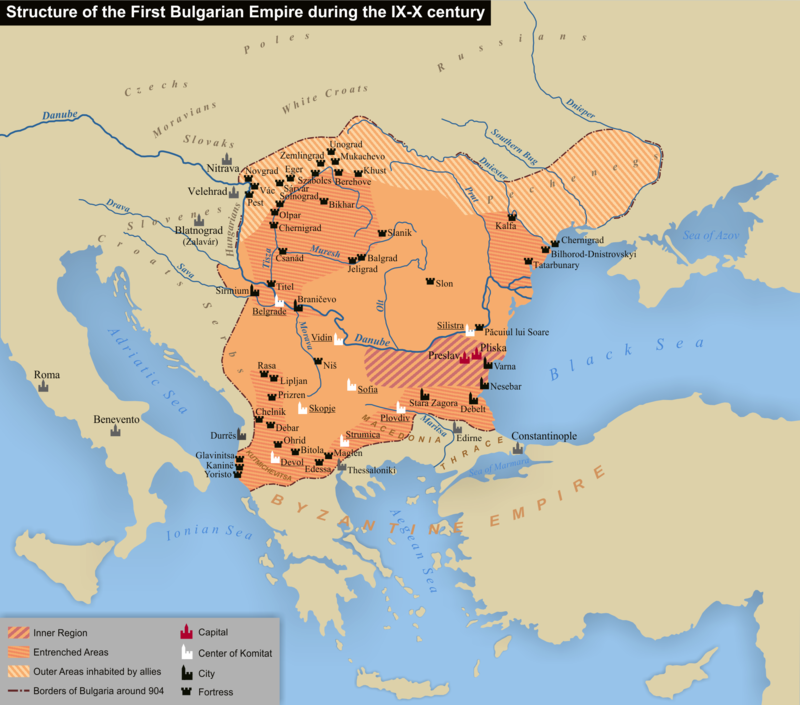 In 804, the First Bulgarian Empire conquered the southeastern Avar lands of Transylvania and southeastern Pannonia up to the Middle Danube River, and many Avars became subjects of the Bulgarian Empire. At the end of the 8th century, the Franks under Charlemagne overthrew the Avar Empire and invaded the Pannonian plains. A series of Frankish campaigns in the 790s, beginning in 791, ended with the conquest of the Avar realm after eight years. By 796, the Avar chieftains had surrendered and accepted Christianity. Pannonia was conquered. According to the Annales Regni Francorum, Avars began to submit to the Franks from 796 onwards. The Franks baptized many Avars and integrated them into the Frankish Empire. Before the arrival of the Hungarians, three early medieval powers, the First Bulgarian Empire, East Francia and Moravia, had fought each other for control of the Carpathian Basin. The earliest work is Emperor Leo the Wise‘s Tactics, finished around 904 recounts the Bulgarian-Byzantine war of 894–896, a military conflict directly preceding the Hungarians’ departure from the Pontic steppes. The Continuation of the Chronicle by George the Monk contains the earliest certain reference to the Hungarians. It states that Hungarian warriors intervened in a conflict between the Byzantine Empire and the Bulgarianson the latter’s behalf in the Lower Danube region in 836 or 837. The first known Hungarian raid in Central Europe was recorded in the Annals of St. Bertin. It writes of “enemies, called Hungarians, hitherto unknown”who ravaged King Louis the German‘s realm in 862. The Hungarians were organized into seven tribes that formed a confederation. 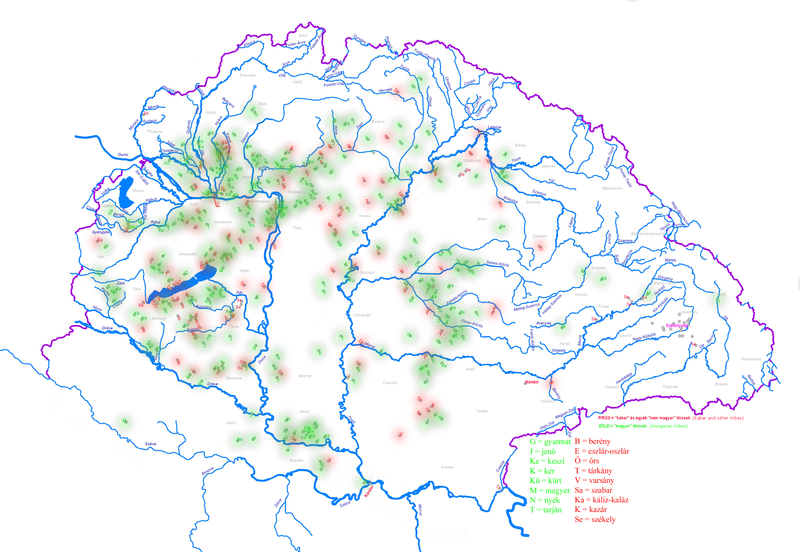 The Hungarians adopted the ancient (Celtic, Dacian or Germanic) names of the longest rivers in the Carpathian Basin. Moravia emerged in the 820s under its first known ruler, Mojmir I. His successor, Rastislav, developed Moravia’s military strength. He promoted the proselytizing activities of the Byzantine brothers, Constantine and Methodius in an attempt to seek independence from East Francia. 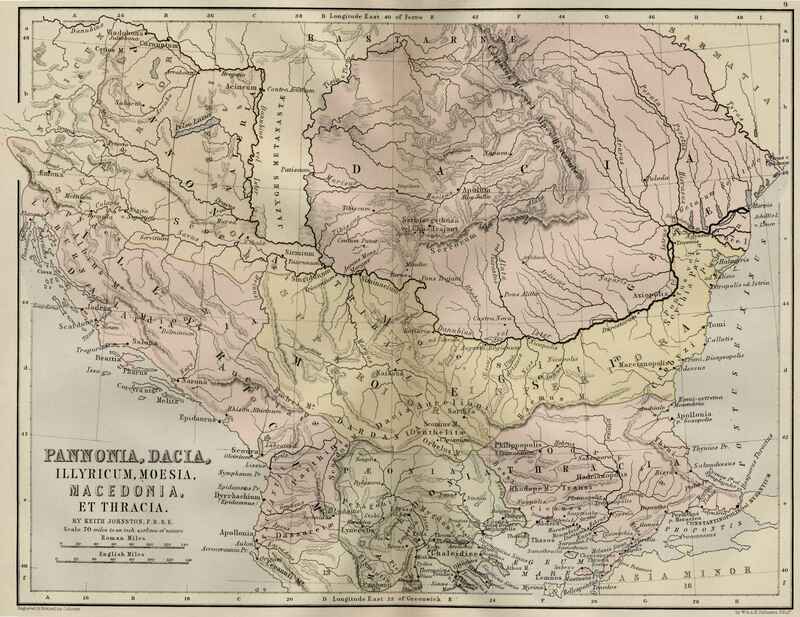 Moravia reached its “peak of importance” under Svatopluk I (870–894) who expanded its frontiers in all directions. 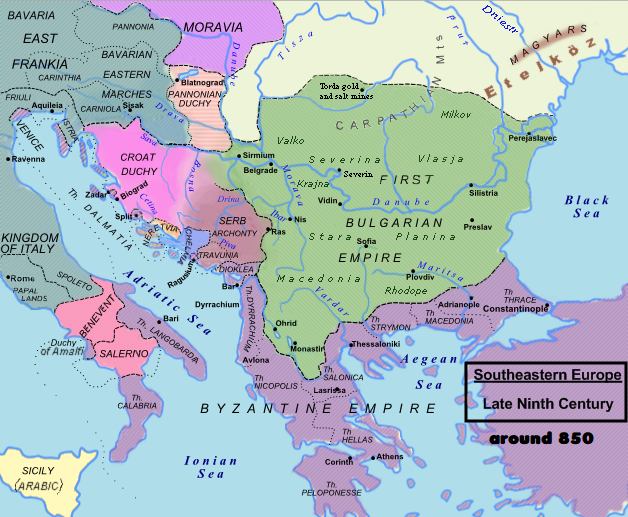 In addition to East Francia and Moravia, the first Bulgarian Empire was the third power deeply involved in the Carpathian Basin in the 9th century. A joint attack by the Pechenegs and the Bulgarians forced the Hungarians to find new territories. The Hungarians returned to the Carpathian Basin in 892, to assist Arnulf of East Francia against Svatopluk I of Moravia. Kurszán (Cusala), “king of the Hungarians” stipulated that his people would only fight the Moravians if they received the lands they were to occupy. Accordingly, Aventinus continues, the Hungarians took possession of “both Dacias on this side and beyond” the Tisza east of the rivers Danube and Garam already in 893. The Hungarian chronicles unanimously state that the Székelys had already been present in the Carpathian Basin when the Hungarians moved in. The Annals of Fulda narrates under the year 894 that the Hungarians crossed the Danube into Pannonia where they “killed men and old women outright and carried off the young women alone with them like cattle to satisfy their lusts and reduced the whole” province “to desert”. The “Legend of the White Horse” in the Hungarian chronicles preserved the memory of a treaty the Hungarians concluded with Svatopluk I according to pagan customs. The legend narrates that the Hungarians purchased their future homeland in the Carpathian Basin from Svatopluk for a white horse harnessed with gilded saddle and reins. Second phase (900–902) The emperor’s death released the Hungarians from their alliance with East Francia. On their way back from Italy they expanded their rule over Pannonia. The Annals of Grado relates that the Hungarians defeated the Moravians after their withdrawal from Italy. Thereafter the Hungarians and the Moravians made an alliance and jointly invaded Bavaria, according to Aventinus. However, the contemporary Annals of Fulda only refers to Hungarians reaching the river Enns. The Hungarians became the masters of the Carpathian Basin by the occupation of Pannonia. The Russian Primary Chronicle is relating how the Hungarians expelled the “Volokhi” or “Volkhi” (who had earlier subjugated the Slavs’ homeland in Pannonia), according to scholars who identify the Volokhi and Volkhi as Franks. Other historians associate them either with the Vlachs (Romanians), or with the ancient Romans. Consolidation (902–907) The Life of Saint Naum relates that the Hungarians occupied Moravia, adding that the Moravians who “were not captured by the Hungarians, ran to the Bulgars”. Constantine Porphyrogenitus also connects the fall of Moravia to its occupation by the Hungarians. The Hungarians settled in the lowlands of the Carpathian Basin along the rivers Danube, Tisza and their tributaries, where they could continue their semi-nomadic lifestyle. 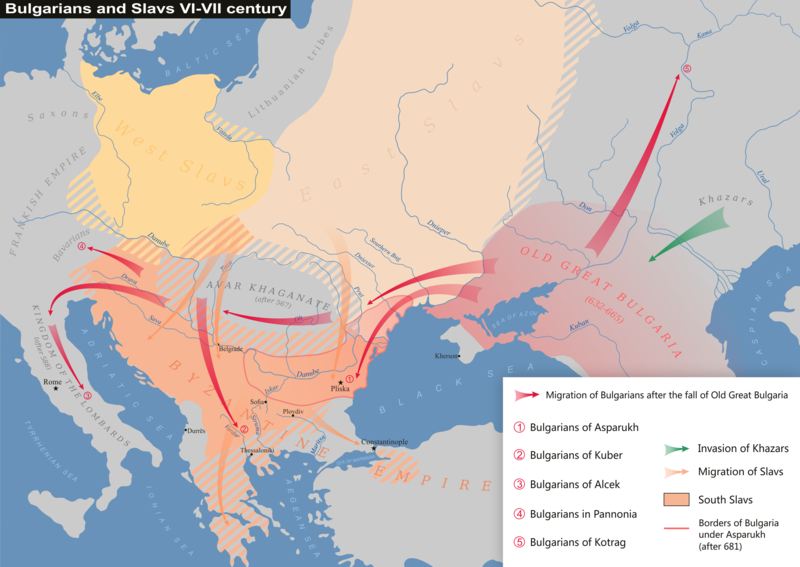 As an immediate consequence, their arrival “drove a non-Slavic wedge between the West Slavs and South Slavs” (Fine). Fine argues that the Hungarians’ departure from the western regions of the Pontic steppes weakened their former allies, the Khazars, which contributed to the collapse of the Khazar Empire. Hungarian society experienced fundamental changes in many fields (including animal husbandry, agriculture and religion) in the centuries following the “Land-taking”. These changes are reflected in the significant number of terms borrowed from local Slavs. About 20% of the Hungarian vocabulary is of Slavic origin, In this easternmost territory of the Carpathian Basin, the earliest graves attributed to Hungarian warriors—for instance, at Szék (Sic), Torda (Turda) and Vízakna (Ocna Sibiului)—are concentrated around the Transylvanian salt mines in the valley of the rivers Kis-Szamos (Someșul Mic) and Maros (Mureş). All the same, warriors were also stationed in outposts east of the Carpathians, as suggested by 10th-century graves unearthed at Krylos, Przemyśl, Sudova Vyshnia, Grozeşti, Probota and at Tei. The Hungarians’ fear of their eastern neighbors, the Pechenegs, is demonstrated by Porphyrogenitus’s report on the failure of a Byzantine envoy to persuade them to attack the Pechenegs. The Hungarians clearly stated that they could not fight against the Pechenegs, because “their people are numerous and they are the devil’s brats”. Instead of attacking the Pechenegs and the Bulgarians in the east, the Hungarians made several raids in Western Europe. For instance, they plundered Thuringia and Saxony in 908, Bavaria and Swabia in 909 and 910 and Swabia, Lorraine and West Francia in 912. Their defeat in the battle of Lechfeld in 955 “put an end to the raids in the West” (Kontler), while they stopped plundering the Byzantines following their defeat in the battle of Arkadiopolis in 970. 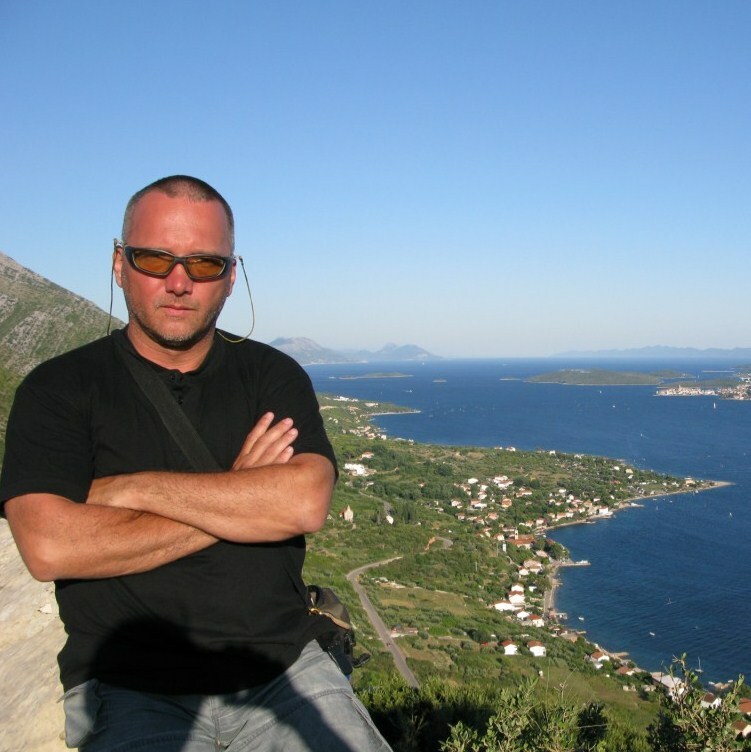 This entry was posted in ethnogenesis and tagged Avar, Avars, Celts, Dacia, Gepid, Hungary, Iazyges. Bookmark the permalink.